Fla. Deputies Earned Extra $3M in Overtime Protecting Trump Since Oct. The Palm Beach Sheriff's Office reportedly earned over $3 million in overtime for deputies from visits the President made to Mar-a-Lago. 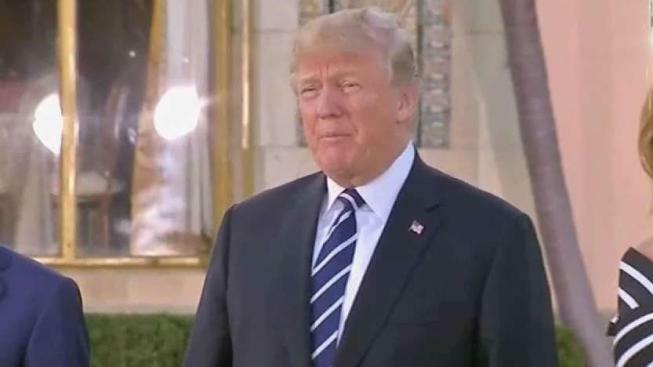 Palm Beach County Sheriff's Office says its deputies have earned nearly $3.3 million in overtime pay during President Donald Trump's visits from October through February. The South Florida Sun Sentinel reported Wednesday that the department received a similar amount, $3.4 million, from the federal government last year to cover increased overtime costs from January to September. The sheriff's office takes the lead in assisting the Secret Service during Trump's visits to his Palm Beach estate. The reimbursements come after Florida officials asked for help covering the costs associated with Trump's visits. Trump visited his Mar-a-Lago home 17 times last year. He has visited six times since Feb. 1. Payroll for overtime worked since the beginning of February has not been calculated.